Thanks for good and useful post! 2. I have added ToggleButton.Content tag into ToggleButton in the expander style itself and moved ContentPresenter inside it (it is currently follows immediately that ToggleButton. I also toyed with that idea, or making the button the whole header. 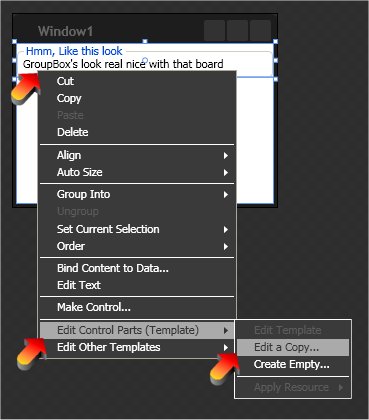 That’s the magic of WPF, once you learn the secret, you can do it your way. Excellent stuff guys. 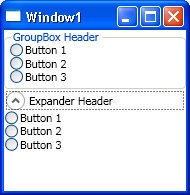 The beauty of WPF indeed. to be the last item in the grid in order to make it more responsive. Cheers Timothy, Not sure what you had to move as it appears to have gotten mangled, if it was code like stuff, email and I’ll paste it in. This is exactly what I was looking for, thanks!!! I did do some modifications though. Like TimothyP said, the tags needed rearranging to work properly. I also set it up so that the ToggleButton was an image; just to add a splash of color. Glad to hear it helped, if you email me the code directly, I’ll post it in for you. No problem. I also implemented Philip Patrick’s suggestion about the header inside the ToggleButton. <ToggleButton Grid.Column="0" MinHeight="0" MinWidth="0" Margin="-2,0,0,2"
Thanks a million! 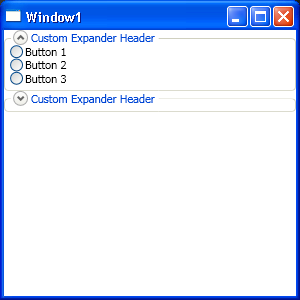 I didn’t have the need to make the expander look like a groupbox but I did really need to stylize my expanders. It was really easy after seeing your example. Having Blend, I was able to do it in minutes without any hand coding. how to Move Tools below when expender Expend-Down. Also Reset when Expender Close. Also, AdamH’s suggestion is a good one, else the toggle button is unresponsive when clicking on the portion of the button that is at the same level as the window border. Although I did have trouble getting AdamH’s version working (references some custom bitmap for the button, still got xaml errors when removed that), and had to use TimothyP’s. Hello ! This is exactly what I am trying to do. How can i get pass this exception ?